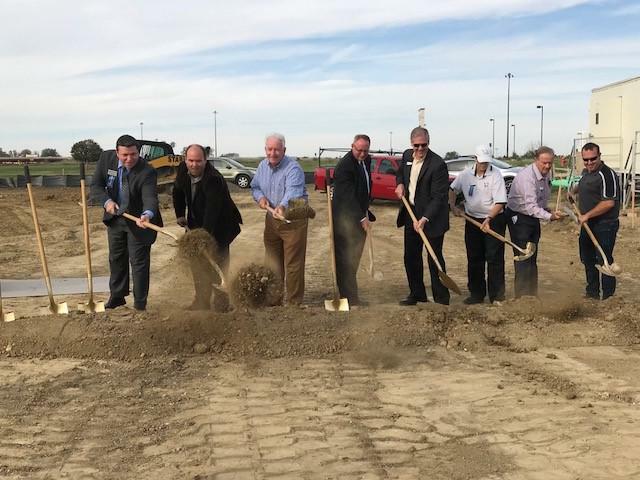 Officals shovel dirt at the OSF HealthCare ceremonial groundbreaking event in Normal on Friday. OSF officials held a ceremony Friday at the building’s location of 1765 Bradford Lane. The $5 million, 13,125-square-foot space will include 24 exam rooms with room for 10 providers. 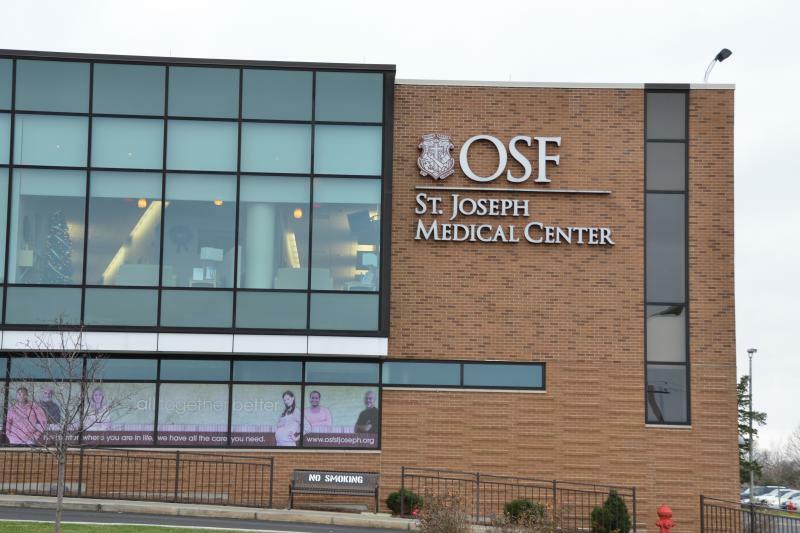 Dr. Richard Ginnetti, director of physician practice for OSF HealthCare’s eastern region, said the facility will offer primary care and PromptCare to help promote medical efficiency in the area. “To be successful going forward, we have to provide multiple avenues of access for the patient, but also tie into a larger health care system that can then deal with that problem if it becomes more serious, in a coordinated fashion,” Ginnetti said. The OSF medical office building will open in July 2018. OSF HealthCare is planning to open a new medical building in north Normal in the Constitution Trail Centre.